Objective The aim of this study was to assess the potential to reduce kidney function damage during the implementation of a water, rest, shade (WRS) and efficiency intervention program among sugarcane workers.  Methods A WRS intervention program adapted from the US Occupational Safety and Health Administration (OSHA) coupled with an efficiency program began two months into the 5-month harvest. One of the two groups of workers studied was provided with portable water reservoirs, mobile shaded tents, and scheduled rest periods. Health data (anthropometric and questionnaires), blood, and urine were collected at baseline and at three subsequent times over the course of the harvest. Daily wet bulb globe temperatures (WBGT) were recorded. Results Across a working day there were changes in biomarkers indicating dehydration (urine osmolality) and serum albumin and reduced estimated glomerular filtration rate (eGFR). Cross-shift eGFR decrease was present in both groups; -10.5 mL/min/1.73m2 [95% confidence interval (95% CI) -11.8– -9.1], but smaller for the intervention group after receiving the program. Decreased eGFR over the 5-month harvest was seen in both groups: in the one receiving the intervention -3.4 mL/min/1.73m2 (95% CI -5.5– -1.3) and in the other -5.3 (95% CI -7.9– -2.7). The decrease appeared to halt after the introduction of the intervention in the group receiving the program. Conclusion A WRS and efficiency intervention program was successfully introduced for workers in sugarcane fields and appears to reduce the impact of heat stress on acute and over-harvest biomarkers of kidney function. Further research is needed to determine whether biomarker changes predict reduced risk of chronic kidney disease in this type of work.